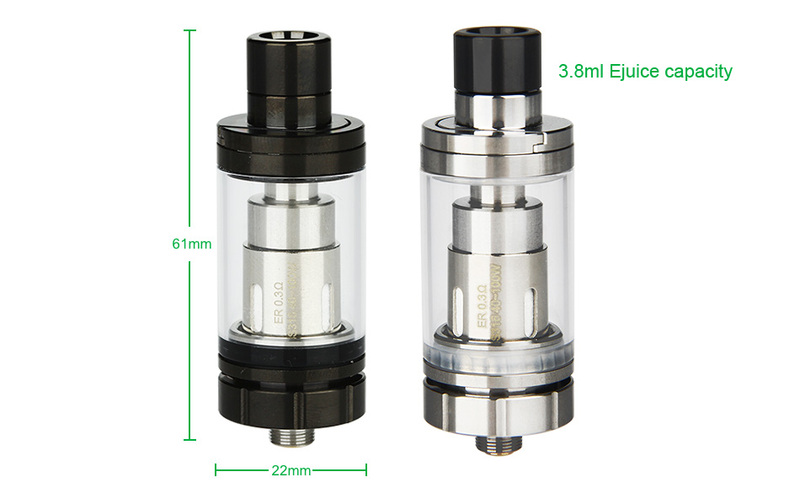 Eleaf Melo RT 22 Atomizer features an innovative Retractable Top (RT) solution which makes e-liquid refilling the easiest and most convenient its ever been. With a diameter of 22mm, the tank pairs perfectly with the ASTER RT. The airflow control ring is super easy to turn on too because of its knurled design, it provides an excellent grip. When used with the new ER 0.3ohm head, the MELO RT 22 will bring you a great vaping experience with unbelievable flavor.